After making a humongous mark both at the ticket counters and in the hearts of people in India, Aamir Khan movie 'Dangal' is sweeping the cash counters in China rapidly. But guess what? Aamir Khan has found a new fan in China. And we are speaking of non-other than the Chinese President Xi Jinping. Mr Xi Jinping told the Indian Prime Minister on Friday that he watched 'Dangal' and really liked it, as per PTI news agency reports. The news was revealed by Foreign Secretary S Jaishankar who is with PM Modi currently attending the Shanghai Cooperation Organisation Summit in Astana, Kazakhstan. Released in more than 7,000 screens in China on May 5, 'Dangal' has minted more than 1,000 crores in China alone. With is record it has become the highest grossing non-Hollywood movie in China ever. And yes, the picture isn’t over yet. Undeniably, Aamir Khan starrer is not going to stop here and would continue to roar at the Chinese box-office. 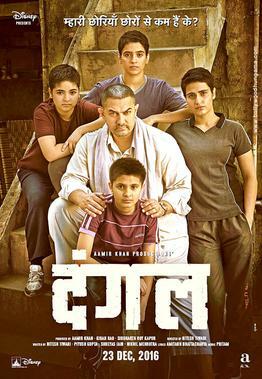 'Dangal' is a sports drama inspired by the real life of wrestler Mahavir Singh Phogat of Haryana who couldn’t bring gold medal for his country and in order to fulfill his dreams he trains his daughters, Geeta and Babita, to wrestle and compete internationally.